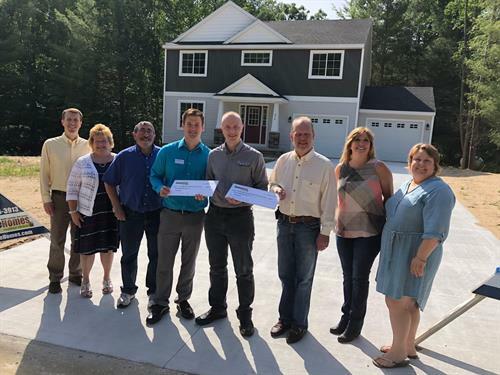 Sable Homes General Manager Bryan Burnham (center) presents a combined $1,000 in donations to TrueNorth Community Services and Newaygo County Area Promise Zone from its first two home sales in Newaygo’s River Hills neighborhood. 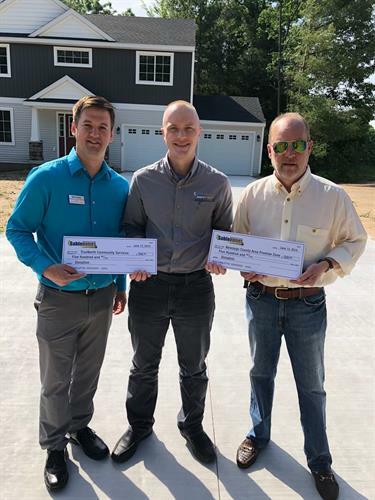 Pictured left to right: Mark Kraus, TrueNorth development director; Bryan Burnham, Sable Homes general manager; and Mark Guzniczak, Promise Zone Authority board member. 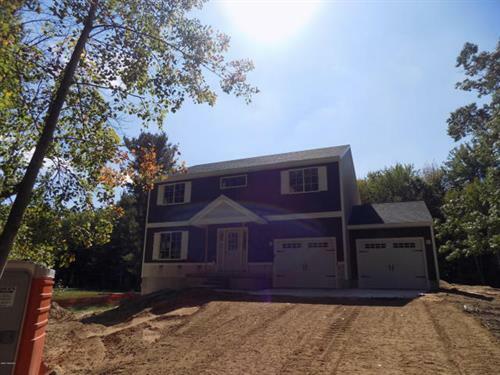 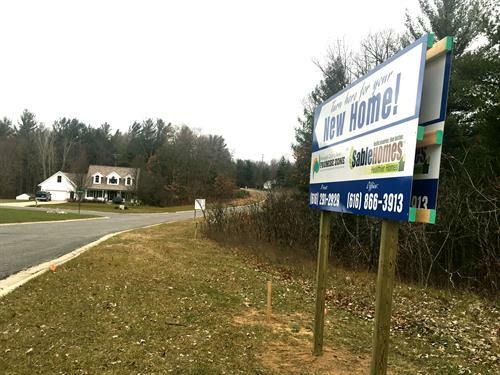 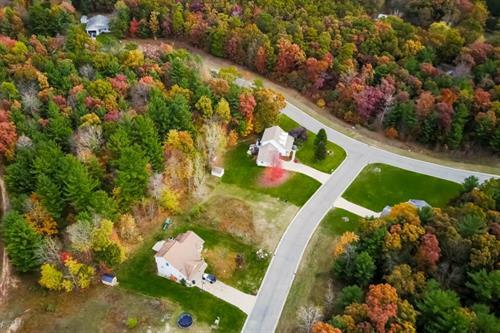 Sable Homes unveiled plans to revitalize the River Hills neighborhood in Newaygo, which has remained unfinished for 15 years. 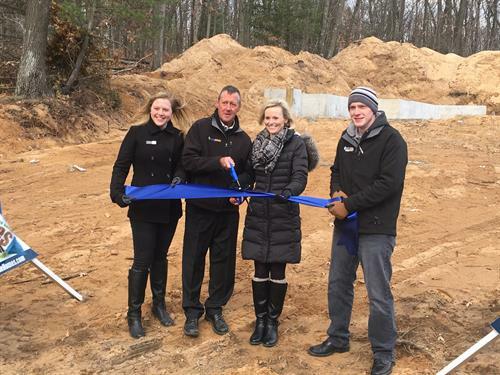 Sable Homes representatives Karin Kay, Ron Austin, Angie Hall and Bryan Burnham kick off a revitalization project in Newaygo's River Hills neighborhood. 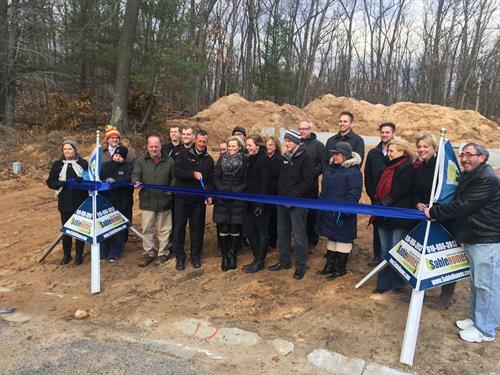 Representatives from Sable Homes, TrueNorth Community Services, Newaygo County Area Promise Zone and River Country Chamber of Commerce of Newaygo County kick off a revitalization project in Newaygo's River Hills neighborhood.